Chicago woman Aida Busatlic, age 23, has been charged with killing Des Plaines man Spiros Ibrem, age 26, about 9:30 a.m. Friday June 15, 2018 in the block of 5000 North Bernard Street, Chicago. The suspect, Spiros Ibrem and several other people spent Thursday evening together in downtown Chicago before heading to a home in the 5000 block of North Bernard Street near Carmen Avenue in Chicago’s North Park neighborhood, according to the Cook County State’s Attorney’s Office. The group continued spending time together in the basement of the home, drinking alcohol, according to Cook County prosecutors. Allegedly, Aida Busatlic took out a semi-automatic handgun and showed it to several people. Busatlic allegedly removed the gun’s magazine, which was loaded with bullets. About 9:00 a.m. Friday, one witness left the basement to go to sleep and saw Busatlic and Ibrem sitting on the floor and talking, according prosecutors. About 30 minutes later, the witness was awakened by the sound of a gunshot and saw Busatlic run out of the basement with the gun and blood on her hand. The witness said Busatlic fled with the gun. A second witness, who was in the basement at the time of the shooting, did not see the shooting, but turned toward the sound of the gunshot, and saw Busatlic run out of the basement, according to prosecutors. Spiros Ibrem suffered a gunshot wound to the forehead and was pronounced dead at the scene, according to Chicago police. The Cook County Medical Examiner’s Office autopsy on Saturday, June 16, 2018 ruled Ibrem’s death a homicide with a gunshot wound from a weapon at close range. The gun was not immediately recovered, and Chicago police are searching for the gun. 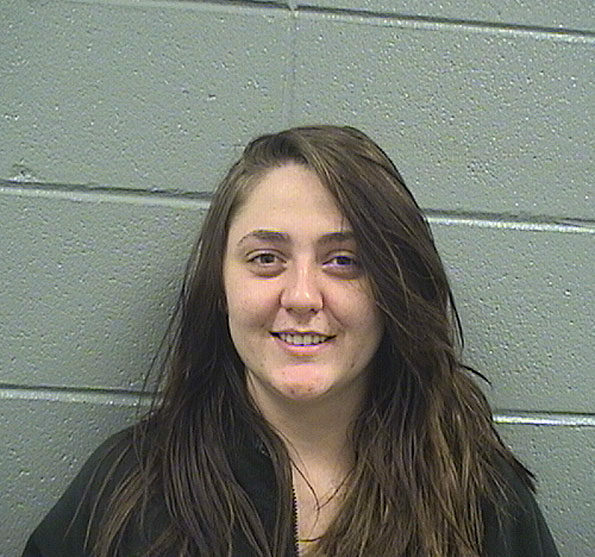 Aida Busatlic, who lives with her parents in the Lincoln Square neighborhood, surrendered later on Friday at the Rogers Park District police station, and appeared Monday, June 18, 2018 for a bail hearing on a charge of first-degree murder at the Cook County Leighton Criminal Courthouse. Busatlic’s attorney, Adam Bolotin, stated that none of the witnesses at the home saw the shooting take place and — while requesting Busatlic’s release — stated said her parents would ensure that she appeared in court if released on bond. Judge David Navarro ordered Busatlic held without bail. Busatlic’s next court date was scheduled for Tuesday, July 3, 2018. Aida Busatlic, shooting homicide suspect North Park Chicago.